Actually they ranked 5th overall with total sales increasing 131% from 2011 to 2012 and they are showing no signs of slowing down. So what’s Exclusiv’s secret sauce? Serveral factors come into play. Exclusiv has been undergoing an aggressive expansion, now on shelves in 22 states and counting. Serge Chistov, president of Serge Imports LLC, U.S. importers of Exclusiv Vodkas, and his team are not one for complacency; constantly pushing forward establishing their brand in new markets across the country. It was not even that long ago when I had first discovered Exclusiv, at the time it was sold in New York and a handful of other states… fast forward a couple years and they have made their way across almost half the country. Where a vodka is born clues you into its potential (not a hard fast rule but a safe assumption). Moldova is the equivalent of being born on Park Avenue with a silver spoon. Moldova? Yes, the small Rebublic of Moldova is a southeastern european country located near the Black Sea. Moldova is known for their rich soil and temperate continental climate which have made it an important center of agriculture for the region…. and what they grow most? Grapes and winter wheat. Moldova has a centuries long tradition of winemaking and spirits. According to a 2011 WHO report, Moldova consumed the highest amount of alcohol per capita in the world in 2005 (thanks for that nugget Wikipedia) So you see they have alcohol in their blood, figuratively and literally. It is no surprise when looking for a Vodka, Serge Imports LLC looked to those whose quality ingredients and rich history of distilling were more than capable of producing a world class spirit. 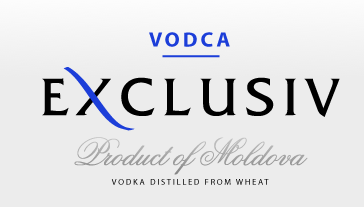 Exclusiv Vodka can hold its own against some of the finest top shelf vodkas in the world. Over the past few years they have been racking up the awards and accolades including a Double Gold Medal in the 2012 San Francisco World Spirits Competition; add that to nine other international awards and a 91-point rating from the Beverage Tasting Institute and it becomes clear this is something rather special. So how much would a top shelf vodka of this calibre cost? Would you believe it’s approx. $10/750ml? No, I didn’t miss a zero, it’s about ten bucks. I could go into to all sorts of reasons how this is possible but in the end it’s about accessibility. Simply put, Exclusiv is an outstanding vodka that anyone can afford. Regardless of the economy (which we don’t need to get into at this time) Exclusiv had made an effort to ensure its consumers do not have to sacrifice quality for price. What kind of business model is that? you’re probably wondering but given they have increased sales by 131% and gaining momentum, chances are they’ll be alright. Check out http://www.exclusiv-vodka.com/ for more information on the vodka and where you can get a bottle … can’t go wrong for $10, after trying it you may need to rethink your top-shelf selection.